There’s almost no information about this particular recording and its a crying shame! 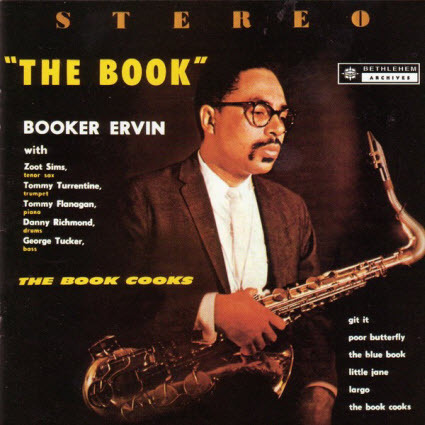 In fact, “The Book Cooks” is Booker Ervin’s debut album and most debut recordings are celebrated with much fanfare. Typical treatment and very upsetting for one of the best jazz tenor saxophonist ever. Booker Ervin had a very distinctive sound and no other great tenor in his time sounded like him. The closest to sounding like him would be Jackie McLean and he played the alto. Teaming “The Book” up with Zoot Simms surely worked, as they played off each other and spontaneously without a hitch. 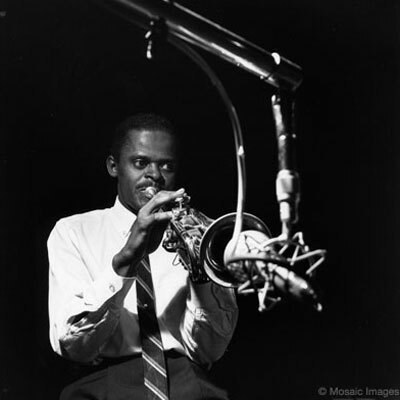 Tommy Turrentine, older brother of tenor saxophonist Stanley Turrentine,and another unappreciated jazz trumpeter (biography below) is outstanding in this recording also. Completing the sextet, you have Tommy Flanagan on piano, Dannie Richmond on drums and George Tucker on bass. A classic hard bop album that includes some of the best played ballads.